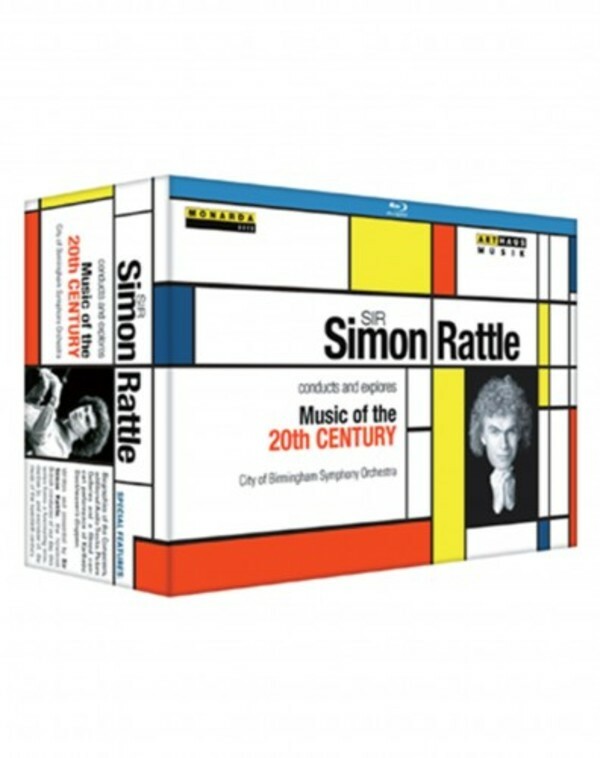 Written and presented by Sir Simon Rattle, the foremost British conductor of our day, this series forms a fascinating introduction to, and overview of, the music of the twentieth century. Dancing on a Volcano � the musical revolution in Vienna at the turn of the 19th to the 20th century. Rhythm � when music in the west freed itself from the dominance of melody and explored the richness of musical pulse for its own sake. Colour � the shift away from melody towards an emphasis on tone colour or �timbre�. Three Journeys Through Dark Landscapes - the effect of fundamental political upheaval on the music of B�la Bart�k, Dmitri Shostakovich and Witold Lutoslawski. The American Way � the music of young men in a young country, individualists and innovators who nevertheless learnt from the music of the past, and from the music of other cultures. After the Wake � Considers the musical legacy of two old men who had dominated the first part of the 20th century � Schoenberg and Strauss � and looks at the post-war generation of young Europeans. Threads � an eclectic, and very personal selection of works by 20th-century composers like Luciano Berio, Hans Werner Henze, Gy�rgy Kurt�g, Sofia Gubaidulina, Harrison Birtwistle, Oliver Knussen and Mark-Anthony Turnage to illustrate the rich variety of newer musical trends.